ORANGE WALK–Officials from the Belize Sugar Cane Farmers Association (BSCFA) and Belize Sugar Industries (BSI) convened at BSI Staff Club yesterday in an effort to work on engagements for a new commercial agreement which is being designed to cement the commercial relationship between local cañeros and the country’s premier sugar producer. The negotiations for the new commercial proposal comprises of discussions on the looming issue of quantum payment for bagasse, which has been a recent source of contention between the two parties, and after the meeting, vice chair of the BSCFA Committee of Management, Alfredo Ortega, told the media that the association will analyze the proposal which has been put forward in hopes that there will be a win-win situation for all involved at the end of the negotiating process. Despite the tense relationship between the two sides in the past, which, Ortega noted, is not beneficial to either side, he said that on the surface, the proposal appears to be satisfactory to BSCFA’s negotiating team at this time. 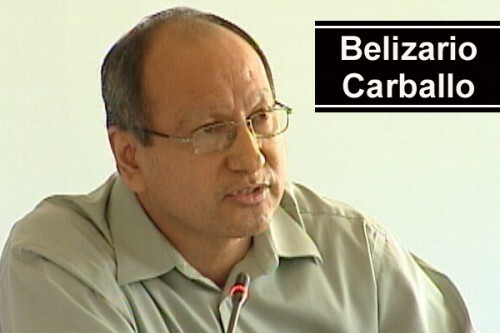 BSI’s Financial Director, Belizario Carballo, spoke briefly about the new agreement, which he said, seeks to set clear terms and conditions in which both parties should operate. Carballo further explained the purpose of the draft proposal which was presented to the BSCFA by BSI. “The draft that we presented today builds on the agreement that existed before, and it also builds on the discussion that we had had before on this new agreement, but it also introduces a few new changes which we would want to engage the BSCFA in discussion on, and so it was about initiating that process and then we would need to negotiate that agreement, but today the BSCFA received it and they had a chance to ask a few questions, and then we need to come back again and start the process of negotiating the new commercial agreement”, he mentioned. The last commercial agreement was signed between BSI and BSCFA in July 2002. Both parties are tentatively scheduled to reconvene in two weeks.